WoNoBloG: Blak and blu. Gary Clark Jr.
You can listen to 'Bright lights' here. At first listen I was like 'the new Jimi Hendrix'? More like the new Robert Cray to me. You may get my drift that one Robert Cray is more than sufficient in my life. But if this guy played with The Rolling Stones without me ever having heard from him, he must be doing something good? So I decided to give Blak and blu, great title of course for a Stones fan, weird spelling though, another shot. This is what I come up with. Blac and blu shoots off in all directions. The Blues Brothers horns (or Memphis, Stax, Muscle Shoals, etc. of course), Lenny Kravitz, Stevie Ray Vaughan, Eric Clapton, Sam Cooke, and yes, some wild, over the top Hendrix like guitar playing, but also some horrible, modern, R&B. 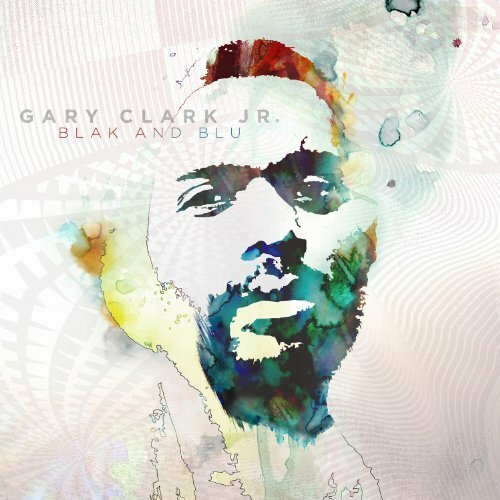 In other words Gary Clark Jr. has not really found his own voice yet. If that is not of the utmost importance to you, reader, then you may be in for some excitement. Blak and blu kicks of with a lot of enthusiasm. 'Ain't messin 'round' sparkles and scores points fast. Clark's voice is soft and pleasant, while the horns lay down all the right accents. 'When my train pulls in' is a delightful blues, that could have been played by Jimi, Eric or Stevie Ray anytime in their careers. It's also the point where I start having my first doubts. Clark is showing that he can really play, but the solo sounds somewhat forced as he's looking for notes that have not been played before that way. To the point of making me feeling uncomfortable. And it takes away from the song, that is just great. It doesn't need this extravaganza. So why not do a Sam Cooke outing as well? 'Please come home' provides just that, including a high voice, strings, harmony vocals and all. As such a pretty nice song to listen to, with a little too loud and brazen guitar solo for such a sugar sweet song. Why this muscle throwing here? By this time I realise that my press fed preconceptions on Gary Clark Jr. have to be ditched. This is not the new-anybody. This is a new black artist, at least as recording artist, who shows all the influences he's sucked up through the years of playing in Austin and beyond. This results in a very varied album. Some songs are to my taste, some less so and some absolutely not. So I decided to enjoy the songs I like, which are basically the harder rocking ones and that is enough for me. I am sure that a lot of people will make opposite choices, perhaps even like both sides to Clark. One thing seems for sure. Gary Clark Jr. is filling in a need. His album is doing quite well in the charts. On the whole however, it is not my need.